On March 8, President Trump convened a closed-door roundtable at the White House. The meeting was a response to the shootings at Marjory Stoneman Douglas High School in Parkland, Fla., and no members of the press were admitted. An outsider might assume the meeting was for congressmen or law enforcement. But it wasn’t. Seated around the table were executives from the top video game companies—including Strauss Zelnick, CEO of Rockstar Games. Zelnick made no public statement about the meeting, but the critical proceedings must have seemed familiar to him, considering that the executive was pulled into a similar session in 2012 during the Obama administration. There is perhaps no whipping boy more popular with critics of violent video games (who remain convinced, despite a wholesale lack of evidence, that the games engender real-life violence) than Rockstar, which produces Grand Theft Auto. GTA was the vision of Scottish developer David Jones (top), but it took the refinements of producer Sam Houser (bottom) for the game to hit the big time. GTA has earned one further distinction: The game is a textbook case of how inflammatory marketing can create a legendary brand. 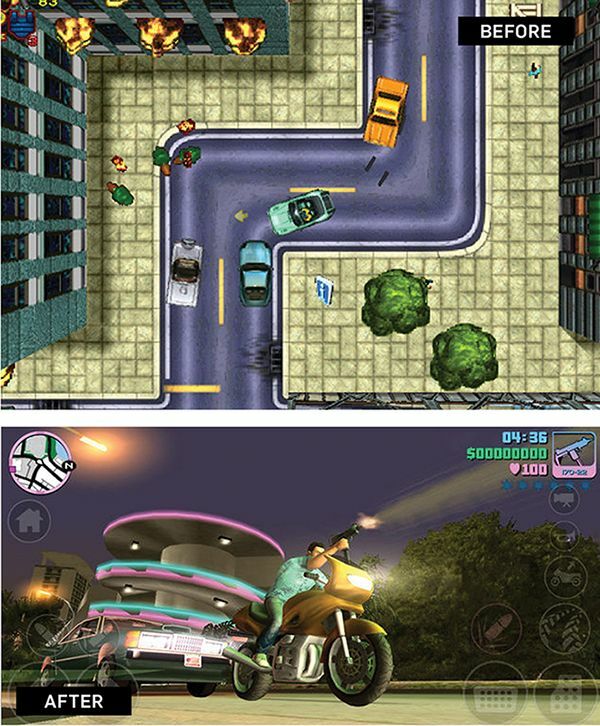 The original GTA was a 2-D game with an overhead perspective (top). But GTA3 was watershed, with a 3-D player perspective (above) and “sandbox” play. The story began 21 years ago, when a tiny Scottish developer called DMA Design Limited released a car-stealing game that developer David Jones originally called Race-n-Chase. The first two versions (2-D overhead-view games) were respectable sellers, but not blockbusters. Everything changed in 2001. 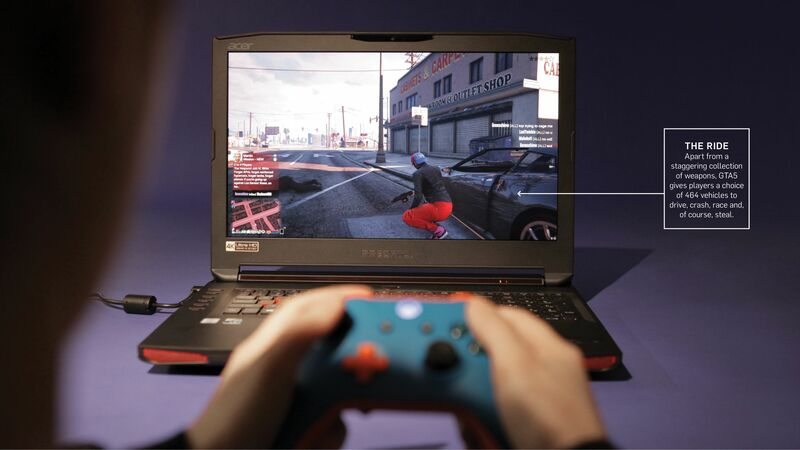 The former DMA, renamed as Rockstar, switched the game’s format to a shooter perspective, allowing players to walk and drive around in a 3-D world (a “sandbox” in gamer parlance) stealing cars, shooting it out with cartels and generally behaving with complete moral bankruptcy. It was a template magnified into the scarred cityscapes of GTA’s fifth edition, which goes so far as to let players kill prostitutes and waterboard a man strapped to a chair. 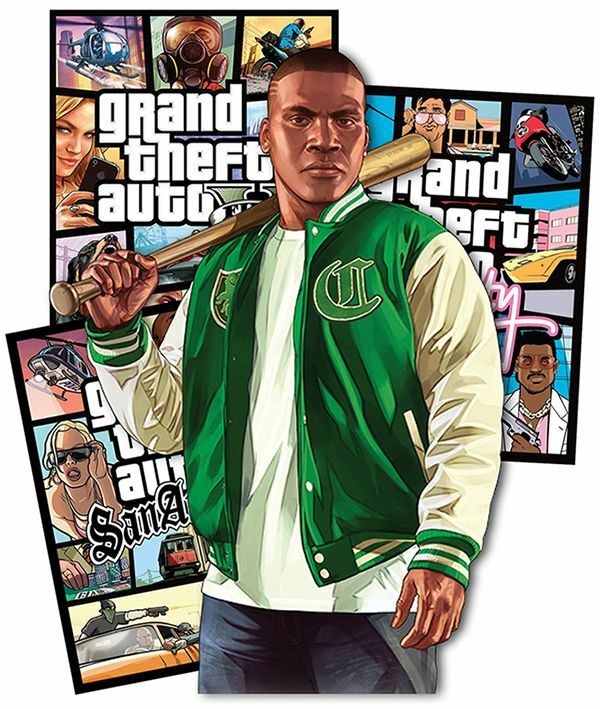 While the franchise has run through 11 different games, its signature cartoon aesthetic (back) remains instantly recognizable, as do characters like repo man Franklin Clinton (front) who made his debut in the latest game. Unsurprisingly, these elements have enraged everyone from legislators to parents groups, and you’d be forgiven for overlooking how GTA revolutionized its industry in a technical sense, pioneering everything from licensed music (ZZ Top, Van Halen) to celebrity voiceovers (Dennis Hopper, Samuel L. Jackson). That basic construct has worked ever since. By continuously pushing the envelope and seeing no need to apologize for what it is, GTA has done for video games what the parental advisory label on explicit content did for record albums: If you want to sell a lot of something, tell people it’s evil and that they shouldn’t have it. 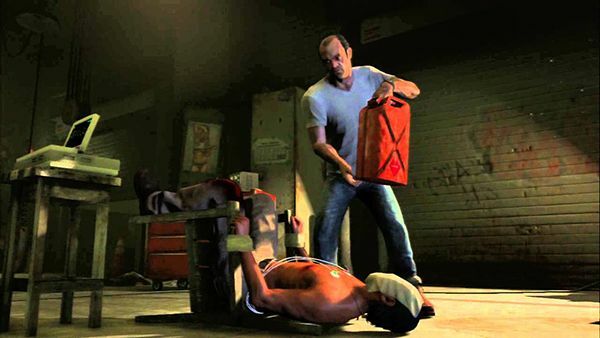 Even some hard-core fans of GTA thought Rockstar went too far with the torture sequence in its fifth version. Not only is the scene graphic (the man strapped to the chair bleeds, screams and begs for mercy), but the player is required to actively participate in the torturing. And that’s not water you’re pouring over the man’s face—it’s gasoline. Bad news for the White House, no doubt.